Glo's mobile massage and beauty therapists bring spa quality treatments to you. Our truly indulgent service delivers tailor-made treatment packages for individuals, couples, families and groups of all ages either at home or whilst staying in self-catering properties across the UK. Relax and unwind with our delectable range of mobile holistic massage and beauty treatments. Whether its a family get-together, a romantic weekend away or some much needed you-time our treatments will add a deeply relaxing and rejuvenating experience to your holiday or away break. The ultimate indulgence. Enjoy an uninterrupted hour or two with treatments from our mix and match menu. Perfect for honeymoon and anniversary celebrations, a relaxing babymoon with treatments suitable for pregnancy or a well-deserved escape from the hustle and bustle of the daily grind. Ideal for groups of friends or family looking to unwind together. Experience our Mother and Daughter Package or a Rest and Unwind Package to make your stay together extra special. Simply choose the length of package to suit you, and then fill it with the treatments that fit your individual needs. So that you can experience a spa package for the whole family, we have created a fantastic range of treatments just for teenagers and younger kids. With professional, fully insured therapists your children will be in safe hands and the whole family can join in. 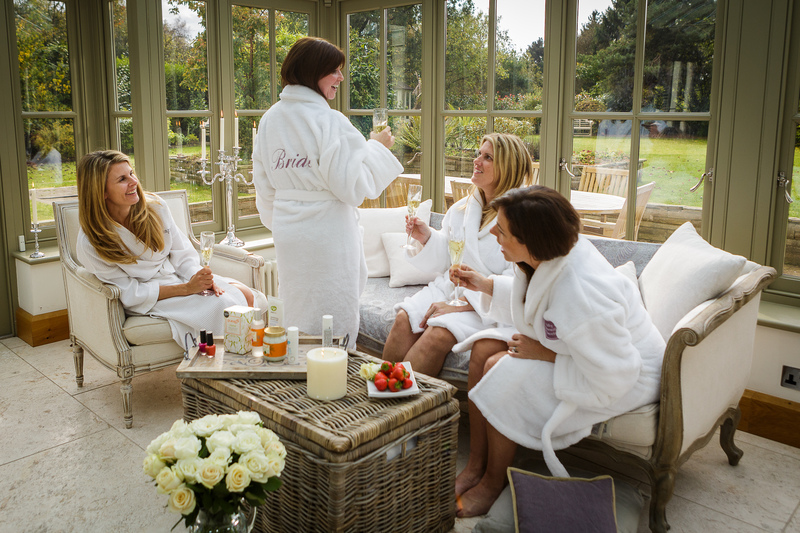 The perfect way for a bride-to-be and her hens to enjoy spa treatments without leaving the house. We take the hassle out by bringing the pampering to you, leaving you with more time to relax and to enjoy the surroundings of your accommodation. Check out our pamper party packages for more information..
Make your company away-day/weekend retreat or corporate event special with a range of affordable luxury treatments at a venue of your choice. Packages can be tailor-made to suit events of any size, theme and budget and multi-UK locations can also be accommodated. Visit our events page for more info on what we have to offer.